Brewmasters are some of the most knowledgeable men and women in the world when it comes to the aromas and flavors of beer. That’s why we brought them our Fizzics technology and let them experience for themselves how it unlocks that fresh-from-the-tap taste. 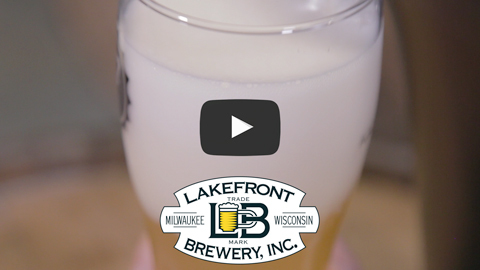 In this ongoing video series, Fizzics Brewers Spotlight, we visit dozens of breweries around the country to highlight the passion of brewing, get behind the scenes insight into the beers they produce, and to hear just what brewers think of a beer poured with Fizzics Micro-Foam technology. Goose Island opened their original brewpub back in 1988 after founder and beer lover John Hall decided that America needed to have a wide variety of quality brews available like those he had tasted during his travels throughout Europe. 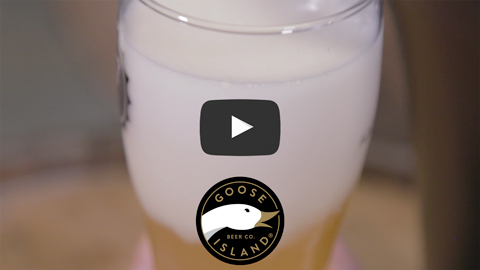 Since then, Goose Island has been a leader in the industry and the team has created award-winning beers that define classic and innovative styles. By 1995, John’s beer had become so popular that he decided to open a larger brewery, along with a bottling plant to keep up with demand. The brewery has since doubled in size and now includes a 143,000 square foot barrel aging warehouse that is home to the famous Bourbon County brand stouts and other experimental projects. We shot this interview with brewer Reed Schwenger inside this massive warehouse and we were very impressed! Weyerbacher Brewing, headquartered in Easton, PA was founded in 1995 as a brewpub in a livery stable in downtown Easton. Weyerbacher has since successfully grown to become a regional craft production brewery that many have come to know and love for their big, bold, flavorful beers. Weyerbacher celebrated their 21st anniversary this year and they now have a new 40 bbl brewhouse, a pilot system, an advanced lab, a large barrel aging program, and decades of combined brewing experience. Look out for some delicious new recipes coming out soon! Weyerbacher brewer Christian Mosebach loves using growlers and pouring witbiers and IPAs through the Fizzics Draft Beer System, saying it gives them a nitro sort of feel, and that it "really works!" 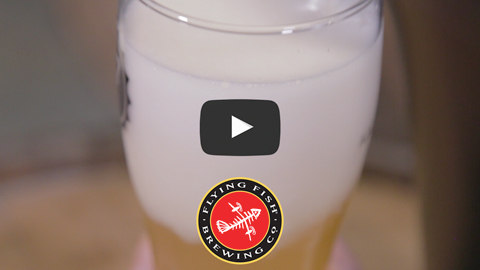 For the next stop on our Brewers Spotlight tour we visited Flying Fish Brewing Company in Somerdale, New Jersey. Flying Fish, founded in 1995, was the first microbrewery to open in South Jersey and is now the largest of all 70+ craft breweries in the state. They offer a wide range of fresh ales year round along with seasonal specialties. Their beers have accumulated a total of 10 Great American Beer Festival awards -- more than any other New Jersey brewery. Their new state-of-the-art facility is also the most sustainable in the region and allows them to brew beer in the most environmentally friendly way possible. Stop by the tasting room Wednesday- Sunday to try one of 15 beers on tap including weekly one-offs and barrel aged beers. Cheers! Doug Phillips is the head brewer at Demented. He loves the Fizzics, saying it is "really pretty spot on with how the mouthfeel should taste." He also commented on the Fizzics Micro-Foam, saying "you have a very good head, obviously the lacing on the beer stays." 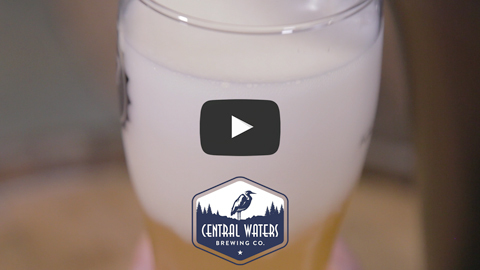 For our next stop we head to Amherst, Wisconsin to meet with head brewer Simon Nielsen at Central Waters Brewing Company. Founded in 1998 by two friends and homebrewers, the company has since grown out of its original brewhouse and building to meet demand throughout Wisconsin. They produce over 18 different beer styles each year and are home to the second biggest barrel aging program in the country. We shot this interview inside their huge barrel aging warehouse and got a chance to taste of some of their special offerings -- we were impressed! The next stop on our brewery tour was Mispillion River Brewing, which opened in Milford, Delaware in the fall of 2013. The goal of this group of passionate brewers is to use the highest quality barley, hops, water, and yeast to produce the finest beers for all drinkers -- from n00bs to nerds, and from Hopheads to Stoutfaces. They aim to honor craft brewing by using the highest quality ingredients, and they strive for the best customer service in the industry. We definitely felt welcomed on our visit and we enjoyed a variety of excellent brews. What do you get when you take a group of musicians and a passion for great beer, and then mix them together in the city by the sea? You get the Asbury Park Brewery, which is the next stop in our Brewers Spotlight’s series. Asbury Park, NJ is known around the world as the place where music lives: good times, great bands, and now world-class beer. The philosophy at Asbury Park brewery is to provide highly drinkable, approachable, and delicious brews to taproom patrons and local bars. We tested them all out on our visit and can confirm that these guys know what they are doing! Check them out next time you visit the Jersey Shore! 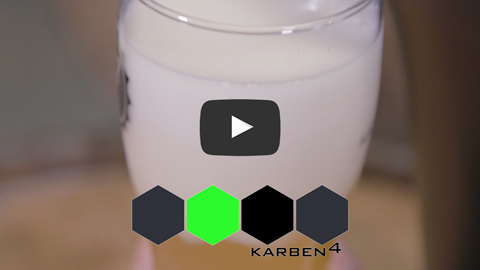 We visited Karben4 Brewing Company in Madison, Wisconsin for the next segment of our Fizzics Brewers Spotlight Series. The walls of this popular brewpub are decorated with large, beautiful canvases that are painted to artistically represent each of the beers that they have brewed so far. After tasting the beers it is obvious that Karben4 knows how to create liquid art as well, and have been doing so since late 2012. Their mission is to provide enrichment to their community and customers by way of providing balanced, malt-centric ales. Keep an eye out for this up and coming brewery as they continue to grow and expand their distribution throughout Wisconsin and the Midwest! For our next stop on the Brewers Spotlight tour we visited Noon Whistle Brewing in Lombard, Illinois. The name for this innovative craft brewery comes from the small town tradition of the noon whistle -- when whistle goes off at noon, it's time to crack open a beer. Noon Whistle believes that enjoying a good beer is about enjoying life and its moments. This is one of the reasons why this brewery concentrates on session beers. The idea is to enjoy the time we have with friends and family, make new friends along the way, and have great memories of it all. We had a great time hanging out with the team on our visit and really enjoyed their lower ABV and sour offerings! Brick Works Brewing & Eats was founded in 2016 by three beer loving entrepreneurs from Delaware that wanted to make quality beer and food from scratch. Focused on producing the highest quality beverages and menu items, the brewpub prides itself on utilizing locally sourced ingredients for both their beers and their foods. Fizzics got a chance to meet and interview head brewer Justin Colatrella in his shiny new brewhouse. He has been busy cranking out new beers to keep Brick Works’ ten tap lines flowing for their thirsty patrons. Stop by the brewpub in Smyrna, Delaware to see what exciting beers and delicious menu items they have to offer! Fizzics headed to Madison, Wisconsin to visit Next Door Brewing Company -- a locally-owned microbrewery and restaurant embedded with neighborhood spirit. Next Door strives to provide the best beer and food while offering an environment for their customers to enjoy great conversation over a drink, snack, or meal with family, friends, and neighbors. Their beer is handcrafted in small batches and served just a few yards from where it was brewed. You can expect to find 11 craft beers on tap at any time, ranging from their standards, to a wide variety of seasonal, creative, and collaborative beers. Keep your eyes out for some tasty Next Door brews as they continue to expand distribution throughout Wisconsin! Fizzics visited New Jersey Beer Company in North Bergen, NJ and got a chance to speak with head brewer Dave Manka and try some of their delicious beers. NJ Beer Co is dedicated to crafting quality beer for all; from the occasional beer drinker to the craft beer aficionado. They believe that good products come from good people, and they strive to do their very best for their community and for their customers. Their goal is to provide happiness by doing what they love, and they believe that good beer can make good times great. We definitely had a great time touring the brewery and sampling their variety of offerings and we think you will too! The next stop on our Brewers Spotlight tour was Little Dog Brewing Company in Neptune City, New Jersey. Little Dog is a 4 bbl craft brewery that opened its doors to the public in November of 2014. They specialize in handcrafted, small-batch brews including German-style ales and special seasonal beers. Owner and brewmaster Gretchen Schmidhausler is an industry veteran who decided it was time for her to open her own brewery after brewing professionally for many years. With two successful years in the books at Little Dog thus far, things are looking great for the future! Make sure to stop by for a flight of beers if you find yourself in the Jersey Shore area. Cheers! If you place an order before noon, your order will be processed and shipped on the same business day. If an order is placed after noon, it will be processed and shipped on the next business day. Business days include Monday-Friday. International shipping does not include import regulations, payment of import duties and taxes. Please note, customers are responsible for any and all import taxes, duties, custom fees, etc.